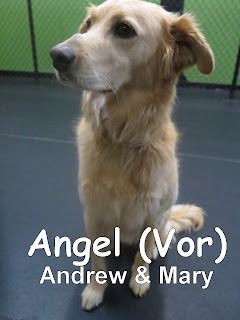 This morning we welcomed Angel to the Fort. 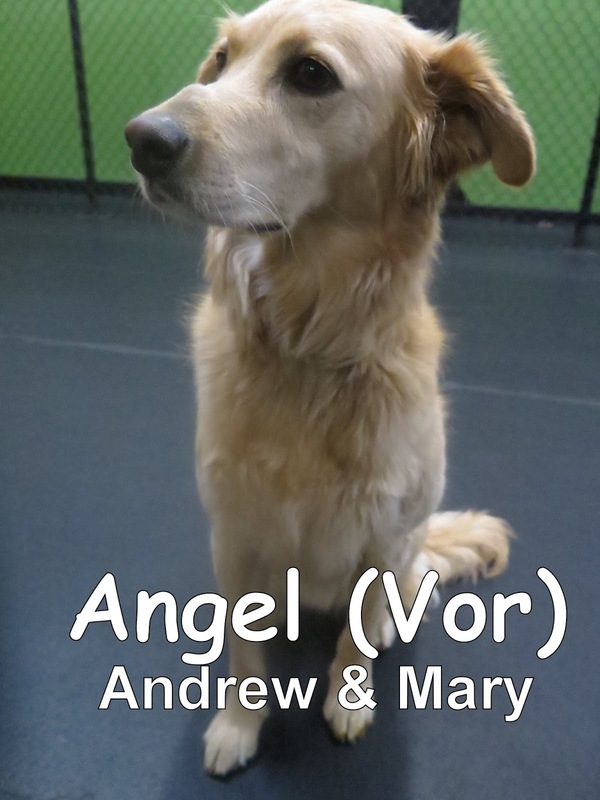 She is a four-year-old, forty-three-pound, Golden Retriever mix. Angel joined our Medium Dog Program and enjoyed mingling with the other dogs. Angel is the sister of longtime Fort Fido veteran Osbourne. She had a good first day and is welcome back anytime. We look forward to seeing her again soon. This morning we had the pleasure of meeting this cute girl, Zoe. She's a three year old, 40 pound Australian Cattle Dog Shepherd Mix. Zoe joined our Medium Dog Program a little shy at first. As the morning progressed, she became familiar of all the new smells and pups eager to meet her, and that seemed to help her climb out of her shell. 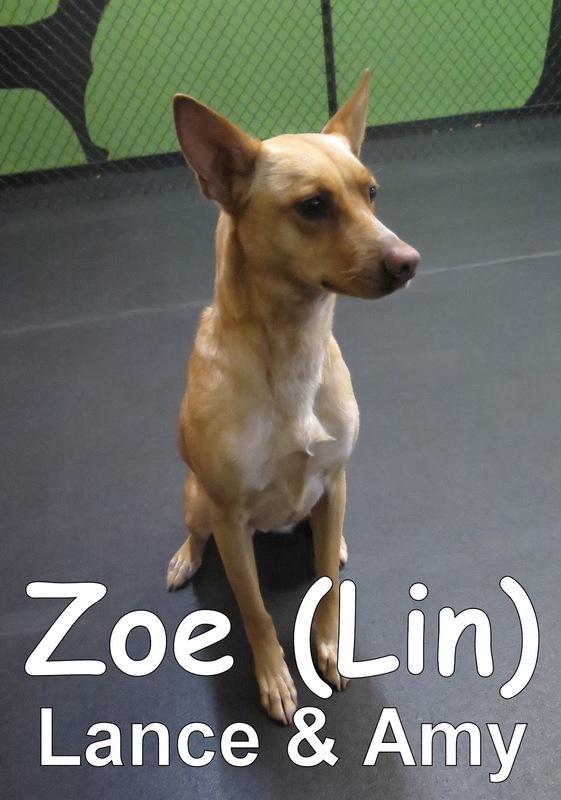 We look forward to seeing Zoe again and watch her progress as she gets to know her new pack. I hope you all have a wonderful evening. Today we welcomed the charming Bo into The Fort! We saw his shining face as soon as it had rounded the car door. 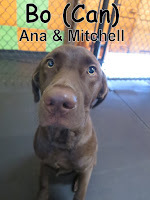 Bo is a 5 month-old, 52 lbs., Chesapeake Lab mix. After seeing his face in action, we knew he would be a terrific candidate for our Large Dog Program. While he was here Bo was able to relax and show us his playfulness. Bo made some great friends today. 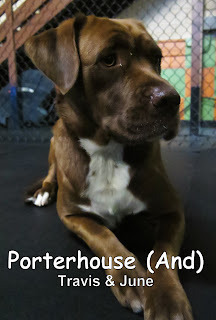 We look forward to seeing him return..
Porterhouse came into the Fort this morning for his assessment. He is a two-year-old, sixty-eight-pound, Boxer mix. 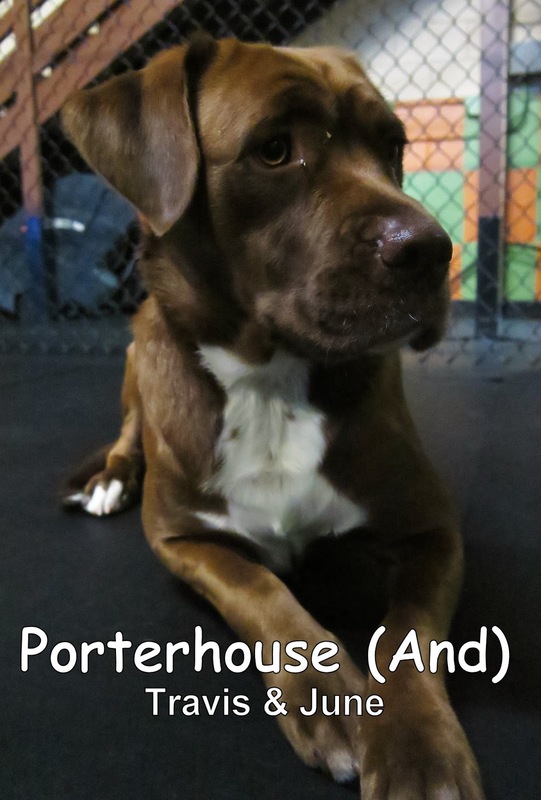 Porterhouse spent his time mingling with the other dogs in our Large Dog Program. He had a good first day and is welcome back anytime. Good job today Porterhouse! 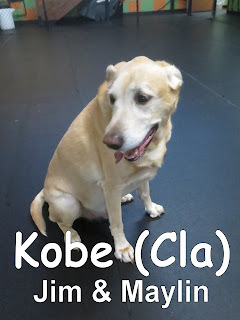 Yesterday, we had the pleasure of meeting Kobe. He is a six-year-old, one-hundred-pound, Lab. Kobe came into the Fort ready to play. He played with almost all of the dogs in our Large Dog Program, but especially enjoyed playing with Diego. Kobe is welcome back anytime. We look forward to seeing both of these guys again soon. Yesterday we has the pleasure of meeting Teddy. 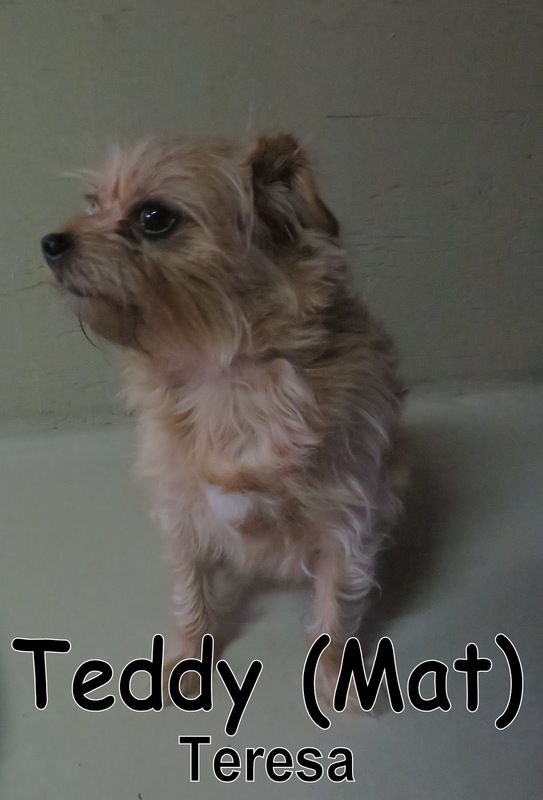 This Eddie look-alike is a 5 year-old, 15 lbs., Italian Greyhound / Yorkie Mix. Teddy came in cool and confident, ready to take on whatever this new adventure may bring. He made his way up and into our Small Dog Program and spent his day exploring the play area while meeting other pups. Hey! We have some great pictures and a clip to enjoy. Take a look below to see the pups! Sabastian came in for his assessment yesterday. He is a six-month-old, thirty-pound, Goldendoodle. His older brother Harrison has been coming to the Fort since April of last year. Sabastian joined our Medium Dog Program, and quickly made friends with the other dogs. Check out this clip of Sabastian playing with his new friend Jaxx. This morning we met Grande. 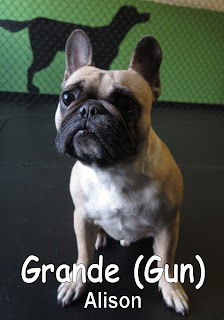 He is a two-year-old, twenty-six-pound, French Bulldog. 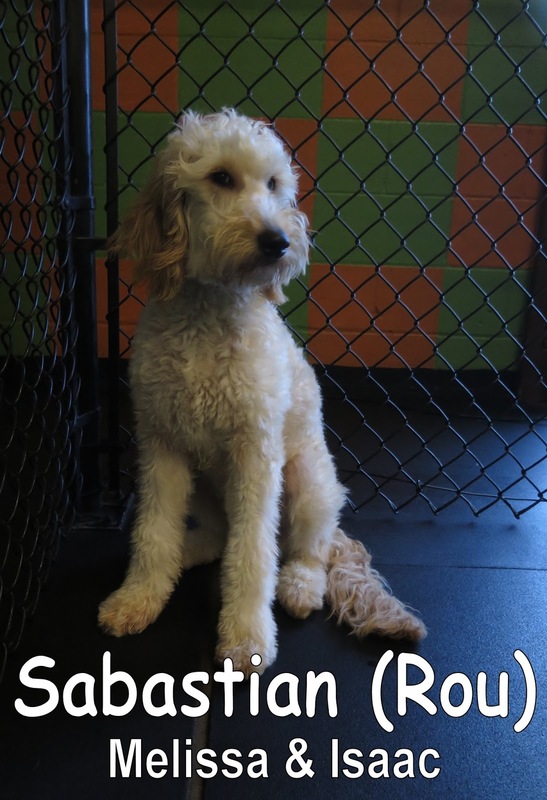 Like Sabastian he joined our Medium Dog Program and had a good time mingling with the others. They are both welcome back anytime. We look forward to seeing them again soon. On Tuesday we welcomed Sherman. Sherman is a 14 lbs., 2 1/2 year-old, Chihuahua / Bisingi mix. 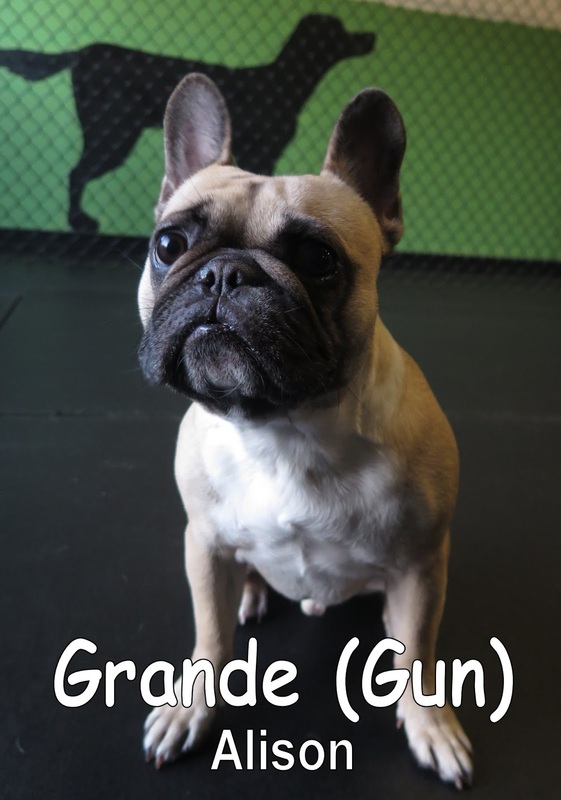 He came into The Fort with confidence and made his was into our Small Dog Program. Once there, Sherman began to meet the other pups as they came throughout the day and seems to have enjoyed his time with us. Sergeant Major joined us on Wednesday. 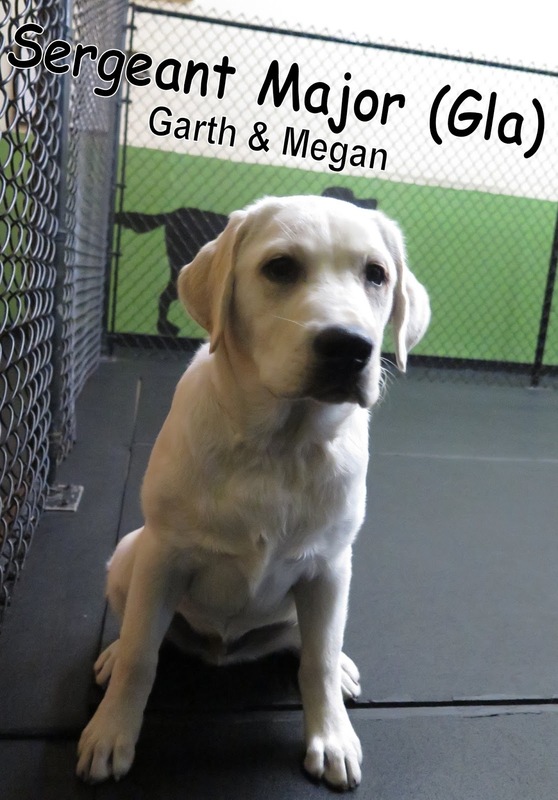 Sergeant Major is a 4.5 month-old, 39 lbs., English Lab. He came into Fort Fido's front door with gusto and immediately wanted to go and meet some friends. Sergeant joined the other pups within our Medium Dog Program and played about with the others. We were able to catch a video of Sergeant playing with Sage, check it out below. I could still use some more breakfast but the food didn't pass the assessment. 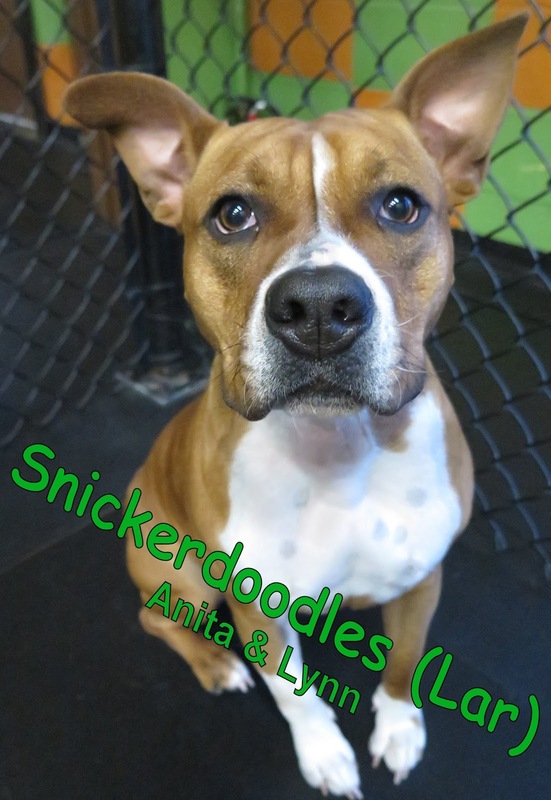 I will be talking about the pup Snickerdoodles whom did pass our assessment and is a 1 year-old, 45 lbs., Staffordshire Terrier (not a snack lol). She came in energetic and ready to explore our Large Dog Program. She began to meet the other pups casually as they came in and was able to get acquainted with The Fort. We hope to see Snickerdoodles return soon to make more friends. Tully came in bright and early this morning for his assessment. He is an eleven-week-old, nineteen-pound, Standard Poodle. Tully joined our Medium Dog Program, and thoroughly enjoyed his time playing with the other dogs. He quickly became friends with Annie the Golden Doodle, the two of them were inseparable. Tully had a great first day here at the Fort, and is welcome back anytime. Check out this clip of Tully and Annie playing this morning. Yesterday we had the pleasure of meeting Morty. 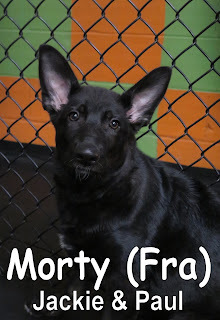 He is a thirteen-week-old, thirty-pound, German Shepherd. 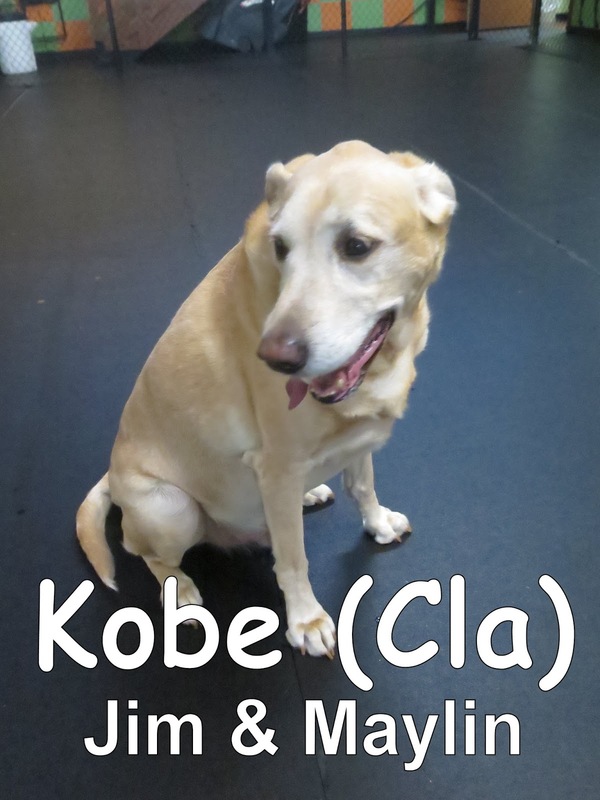 He joined our Medium Dog Program, where he fit right in and enjoyed playing with the others. 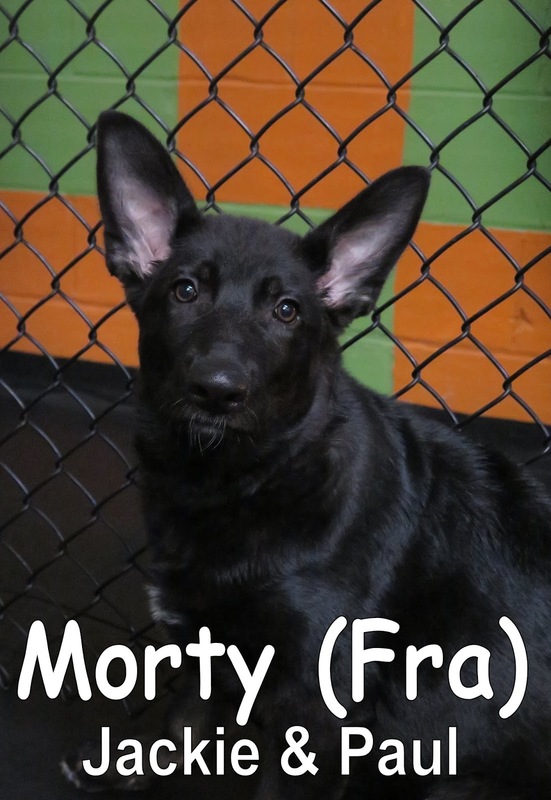 Great job Morty! We look forward to seeing you again soon. 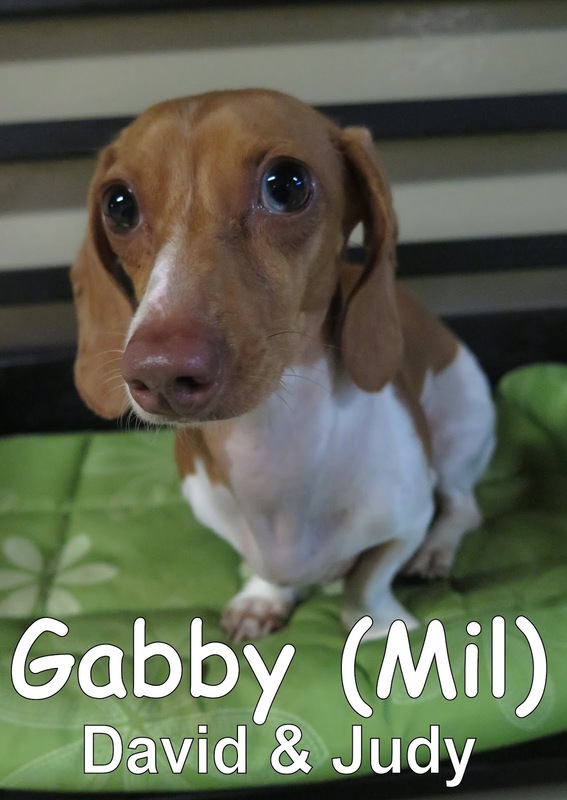 Today we met the cute Gabby. Gabby is a 10 lbs. Miniature Dachshund. She made her way into our Small Dog Program calmly and began to meet the other pups. After she began to meet the others, Gabby began to show a bit of her playful side. Check out the video below of her being "King of the Mountain"! Yesterday we met the darling Darla. She is a 1 year-old, 25 lbs., Pug/Beagle mix. 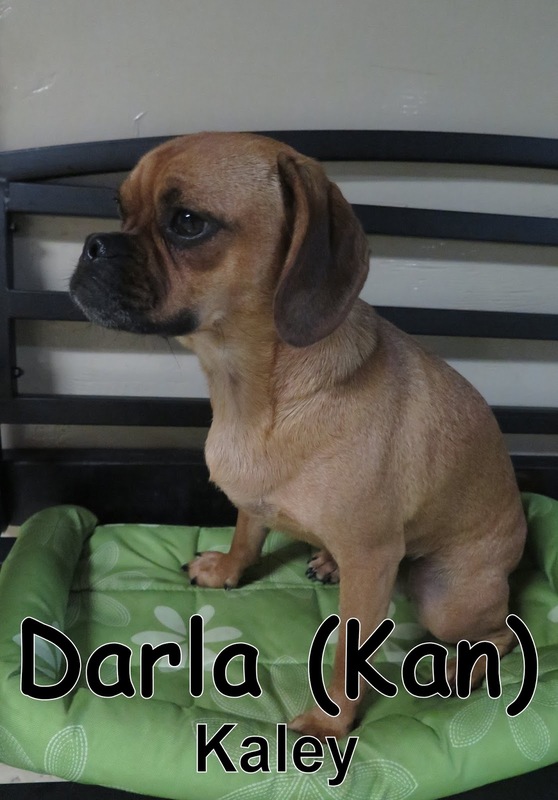 Like Gabby, Darla also went into our Small Dog Program. She explored the whole Small Dog Program and slowly began to meet the others. 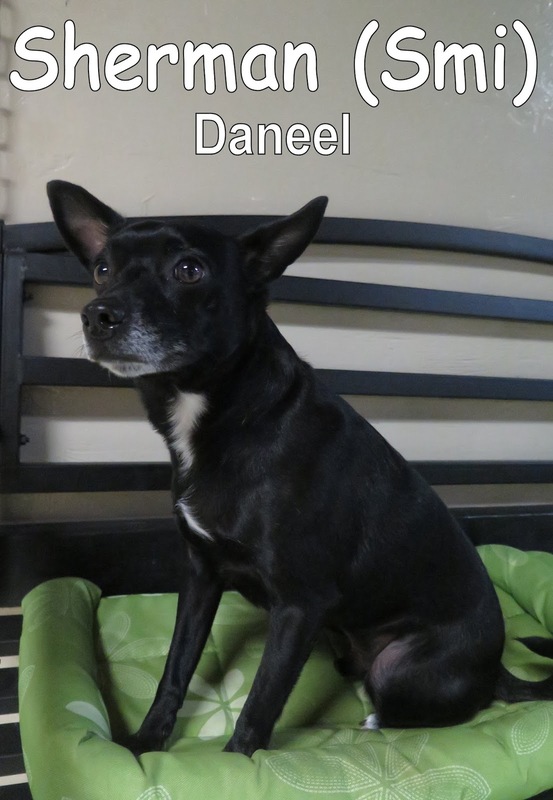 Darla was able to relax during her time here and socialized with the other dogs. This morning we had the pleasure of welcoming Duckie & Duke to the Fort. These two siblings enjoyed their stay at Fort Fido. 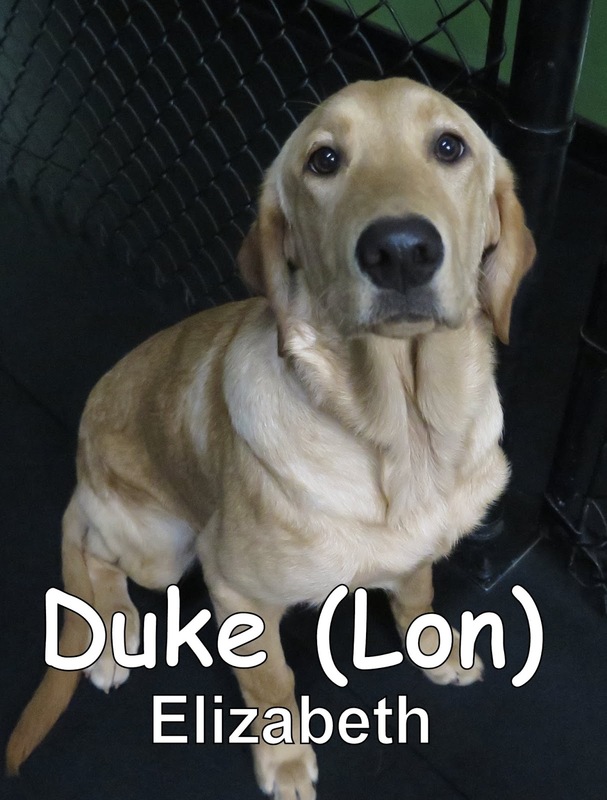 They are six-month old, sixty-pound, Golden/Lab litter mates. Duckie joined our Medium Dog Program, where she quickly made new friends. While Duke enjoyed playing with the dogs in our Large Dog Program. They are both welcome back anytime. We look forward to seeing them again soon. Yesterday we had the pleasure of meeting Riley. 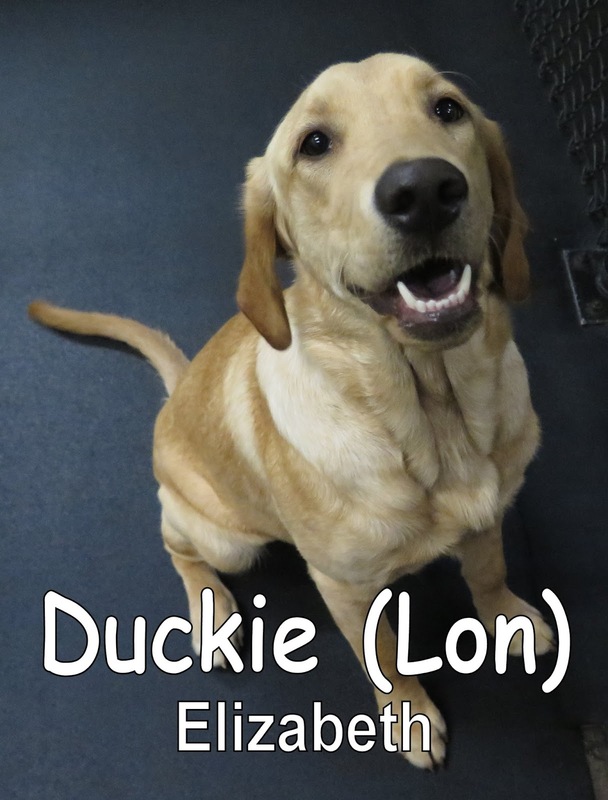 She is a five-month-old, thirty-pound, yellow Lab. 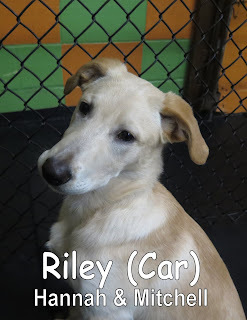 Riley joined our Medium Dog Program, and spent the morning mingling with the other dogs. Good job today, Riley! We hope to see you again soon. 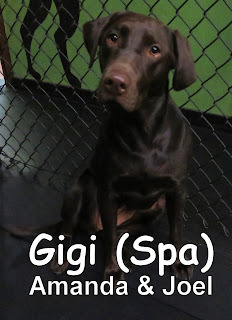 Gigi came in for her assessment early this morning. She is a one-year-old, sixty-two-pound, chocolate Lab. 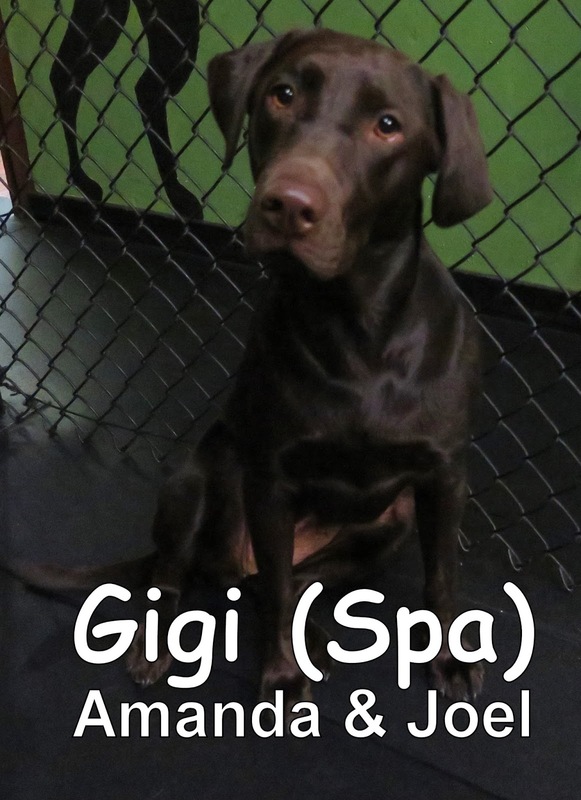 Gigi joined our Large Dog Program, where she enjoyed playing with the other dogs, and made several new friends. One of her favorites was Blu, the Catahoula Leopard Dog. Gigi did very well for her first day, and is welcome back anytime. We look forward to seeing her again soon. Check out this clip of Gigi & Blu in action.